Ladies and gentlemen, if there was ever a doubt in your mind that Nicaragua is a anything but a wild menagerie of earthquakes and lava that mother earth scrubs clean with devastating hurricanes every few years, let me tell you about that explosion I heard two nights ago. It was 11pm. I was finishing up the video for the driving in managua video you will check out after this article when suddenly the entire house felt a massive explosion. It was a boom of greater bass, volume and intensity than I had heard before, certainly not part of the small pockets of San Tolentino celebrations going on in the city. 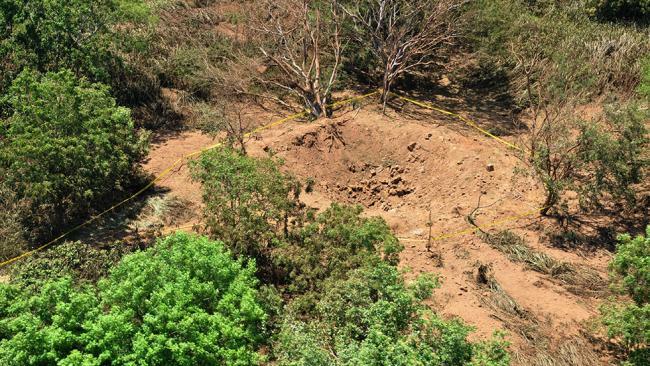 A small meteorite crashed into a wooded area in Nicaragua’s capital of Managua overnight, the government said Sunday. Residents reported hearing a mysterious boom that left a 16-foot deep crater near the city’s airport, the Associated Press reports. I live about two miles from the point of impact. This is a wild place.